The sales Market was a challenging one in 2018, the uncertainty of Brexit certainly made people sit on their hands and take a ‘wait and see’ approach. However, the main signs of a buoyant housing market were still in place including, a shortage of available stock, low interest rates and strong employment. The lodge jam, and why we perhaps didn’t see the market churn as usual, has certainly been the appetite of the seller, this wasn’t purely a ‘wait and see’ approach, it was also been’ “I am not prepared to put my house on the market because there is nothing for me to buy” and this creates a vicious circle when confidence and supply are slightly off. The positive factor for those people who have taken a ‘business as usual’ approach is that they have sold their property and often at above the asking price because of the depleted supply. If you wish to move in 2019, get your house on the market there are plenty of people who want to do the same and plenty of buyers who are looking for new instructions just like yours!! 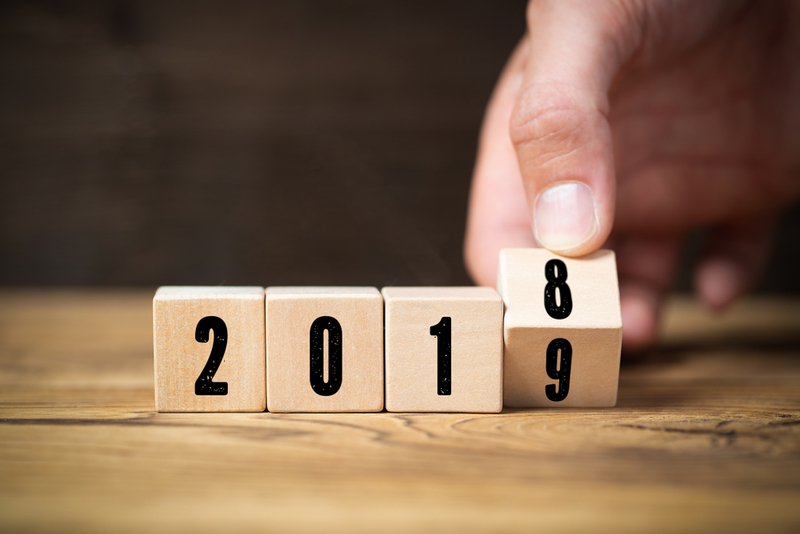 The industry again faced numerous challenges in 2018 as there was a lot of uncertainty surrounding Brexit, the forthcoming tenant fee ban, increased safety legislation and GDPR Legislation. However, it has been reported throughout our network of offices that despite this there were some very positive signs that the lettings market was still booming as 2018 ended and 2019 has begun. Rents in many areas have increased and the demand for property especially in the city centre locations has shown no signs of slowing down and the speed of which properties have been rented out despite budget-conscious tenants has increased. The market is still very strong and we have noticed that there has been a steady stream of investors still buying property outside of London, in some areas buyers were able to get 6% -8% yield which is almost impossible in the south of England. According to Homelet (the UK’s largest referencing agency), the UK average rent in 2018 was £918 (and £760 when London is excluded) with an annual variance of 1.5%. Tenant demand remained strong too throughout the year in the UK as renting is still an affordable & flexible option for housing. The tenant demographic is of course varied and depending on location the average rental on good quality housing lets quickly with an average tenancy term of 14 months at Hunters. At Hunters we welcome many of the government’s 2019 plans to properly regulate the Lettings Industry – we have always strived to be ahead of the curve when it comes to voluntary Accreditation and Membership of industry bodies and with the forthcoming implementation of mandatory client money protection we are well placed to continue to offer protection to our Customers.